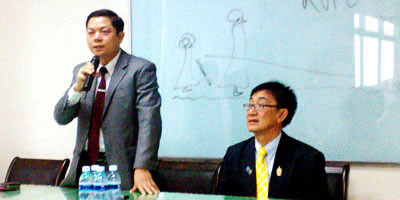 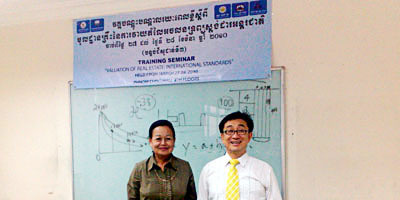 Dr.Sopon Pornchokchai, President, Agency for Real Estate Affairs went to teach real estate valuation in Phnom Penh for two full days. 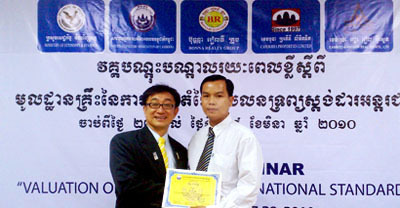 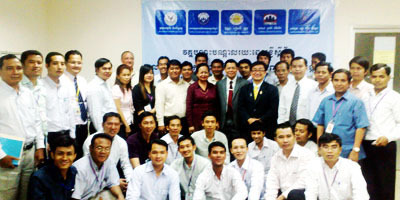 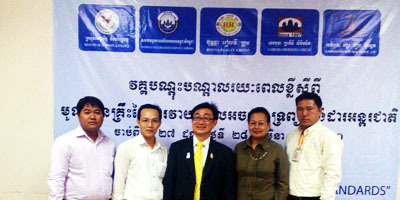 This event was organized by the Ministry of Finance, Royal Cambodia Government, the National Valuers Association of Cambodia and other sponsors. 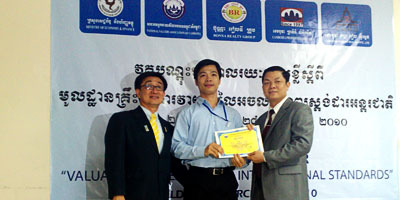 Some 45 students who were related to valuation and property consultancy services participated at this event.